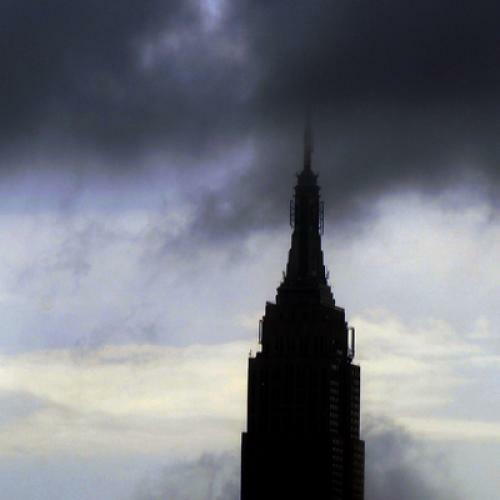 Earlier this morning, a man with a gun opened fire outside the Empire State Building in busy downtown Manhattan. Last night, 19 people were shot across the city of Chicago in seven different incidents. Thirteen of those victims were shot within one 30-minute period. A man walked into the Washington, DC building that houses the Family Research Council last week and shot a security guard. At the beginning of this month, a white supremacist shot and killed six people at a Sikh temple in Wisconsin, wounding four others. And we are barely one month removed from the horrific mass shooting that killed twelve and wounded a sickening 58 other people in a movie theater in Aurora, CO.
Barack Obama and Mitt Romney may not want to talk about gun control, but events are conspiring against them. How many somber statements of sorrow can we hear and read, each disconnected from the last? And how many times can we pretend that the problem is really only a matter of the shooters’ pathologies—white supremacists, urban thugs, the mentally ill? “We can sometimes hope that just changing the law will make all bad things go away. It won’t,” Mitt Romney told NBC’s Brian Williams after the Aurora massacre. “Changing the heart of the American people may well be what’s essential, to improve the lots of the American people.” Poppycock. No one operates under the magical thinking that any policy can “make all bad things go away.” But a policy can make it harder for a gunman to obtain weapons that mow down large numbers of victims in minutes or seconds. A policy can make it harder for someone with a history of violence—domestic assault, for example—to purchase a gun. Shouldn’t we at least try instead of wishing on a star about changing the heart of every potential murderer who owns a gun? Republican politicians have a tougher road to confronting the reality of gun violence. New polling by the Public Religion Research Institute shows just how extreme the views of those who identify with the Tea Party are on guns. In a survey released last week, PRRI asked whether people should be allowed to carry a concealed firearm in a church or other place of worship. (The survey was conducted three days after the Sikh temple shooting.) Most Americans—including most Republicans—say they should not (76% overall). Only 9 percent of Democrats and 38 percent of Republicans support concealed weapons in houses of worship. Among Tea Partiers? A majority—55 percent—think Americans should be able to bring their weapons into church along with their Bibles. If Democrats aren’t constrained by the extreme views of a Tea Party bloc, however, they have been equally hesitant to propose any new gun laws, insisting instead that stricter enforcement of existing protections should do the trick. The idea that it’s one or the other—enforcing existing laws or passing new laws—is also one reason why much of the polling on gun control indicates low levels of support for additional gun control. To take just one example, a 2011 ABC News/Washington Post poll asked respondents whether the best way to reduce gun violence was by passing stricter gun control laws or stricter enforcement of existing laws. Enforcement won by a landslide, with 59 percent support versus 29 percent for new laws. But what if you don’t make people choose between the two approaches to dealing with gun violence? As PRRI found, it turns out many Americans will choose both. In last week’s poll, 67 percent said they supported “stricter enforcement of existing gun control laws” and 52 percent backed “passing stricter gun control laws.” That adds up to more than 100% because respondents were allowed to choose each of the options. President Obama called for tougher gun control laws last month in a speech before the National Urban League. But immediately after the Aurora shooting, his press secretary said that a ban on assault weapons was off the table. The high-profile shootings this summer may not mean that we are experiencing a wave of increased gun violence in this country. But they should require politicians to confront the issue, and to do so by starting with every possible remedy on the table.